Gibson made around 1,500 sunburst Les Pauls between 1958 and 1960, but today, only 2,000 survive. That’s the joke that keeps Burst fans awake at night. You don’t get it? Such a valuable guitar is inevitably the target of fakers, so the original run of around 1,500 has been, shall we say, “supplemented" by quite a lot of forgeries. It’s one of those jokes designed not so much to make you laugh, but rather to make you think. Let’s take a more serious approach and consider the numbers of that original run. How many were there, really? It may not surprise you to learn that no one has an accurate answer to the question. After all, this is a guitar bound up in more myths, speculation, and half-truths than any other classic vintage collectable. But let’s persevere. Let’s see how close we can get. 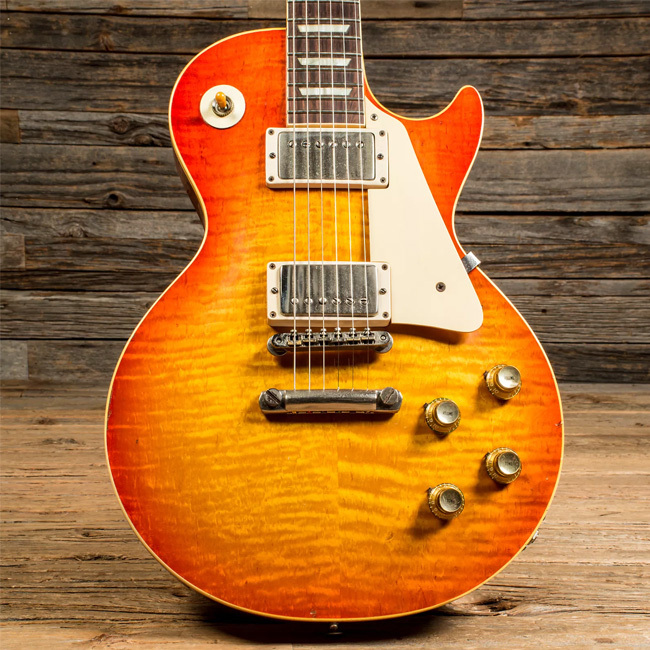 We all know that the original sunburst Gibson Les Paul Standard—the "Burst," as insiders like to call it—is a highly sought-after rarity. We also know that just because something is rare doesn’t mean it’s valuable. That one-off guitar of yours over in the corner, for example, is unique, which is as rare as it gets. But despite such supreme rarity, it might be almost impossible to sell. If no one wants your unique object—which, perhaps, is simply too quirkily handmade—then it won’t be valuable, no matter how much you shout about rarity. On the other hand, quite a few people (and people with money to spend) want a Burst from 1958-60. So this guitar is rare, and it’s desirable, too. But how rare? Gibson has various sets of records from this period. I have seen the shelf in the dusty closet. And that ought to be the place to find all the details we need on pretty much every single Burst that went through the factory in ’58, ’59, and ’60. But I have also seen the gap where the book for this period should be—the book in which the factory workers logged details of models shipped and their serial numbers, ordered by date. These day books, as Gibson called them, end with one that covers the period up to June 30, 1958. The one after that, the one that would cover the Bursts, is missing and presumed lost. Frustrating is one word for it. So we turn to another set of records in Gibson’s closet, known as the shipping totals, which show annual production figures reckoned up at the time for each model. I checked the entries for “Les Paul & Bigsby" (which means the Les Paul Model or Standard) in gold or sunburst finish, with or (usually) without Bigsby vibrato unit. For 1958, the entry shows 434; for 1959, 643; and for 1960, 635. Unfortunately, we can’t simply add up those three figures to tell how many Bursts were made. There are two overlaps in those numbers, one at the start and one at the end. The first consists of earlier Goldtops, before the move to sunburst was made in ’58. The second consists of later SG-shape Standards, after the single-cut sunburst was dropped in ’60. So, in the absence of the missing day book, we have to take a couple of guesses. First, let’s guess that production of the new sunburst look probably started around July or August. With that in mind, we can remove seven-twelfths of the 1958 total, as a crude way to get rid of the production from the earlier seven months or so when this model was still a Goldtop. 1960 Gibson Les Paul Standard "Burst"
Second, knowing that Gibson made a small number of the new SG-shape Les Paul Standards at the end of ’60—before full-scale production of the new design began in ’61—let’s take another guess and with a generous (and arbitrary) flourish, remove one month’s worth of SG-shape Standards from the 1960 total. I need a calculator. Still with me? Five-twelfths of the 1958 shipping total of 434 is 181. For 1959, we use the full total: 643. And eleven-twelfths of the 1960 total of 635 is 582. Right, 181 plus 643 plus 582 gives us the rough total of sunburst Les Pauls that Gibson made. It’s 1,406. And that’s probably the best anyone can do. As for our joke about the real number of survivors, a good place to check the current situation is Julio Sanchez’s website. Julio’s aim here is to gather public information and contributions from collectors to create a database of Burst information, material, and pictures. At the time of writing, the website has logged the serial numbers of 799 Bursts, which Julio has calculated for the individual years as 39 percent of the ’58 shipping total, 65 percent of the ’59 total, and 33 percent of the ’60 total. Time for one more drizzle of statistics before I put my calculator away and let you take a well-earned power nap. The key year for Burst fans is 1959, and helpfully, that is the only one where we can be sure of an accurate shipping total. That year, Gibson shipped a grand total of 34,123 guitars of all types and models, according to those annual reckonings by the factory managers. Of those guitars, Les Paul models totaled 7,828—including a tremendous 4,364 Juniors (Gibson’s biggest single-model production run in ’59) and 1,821 Specials—which made Les Pauls 23 percent of total production. We know, too, that Gibson made 643 Bursts that year, which is about eight percent of that Les Paul total, and a little short of two percent of overall guitar production. 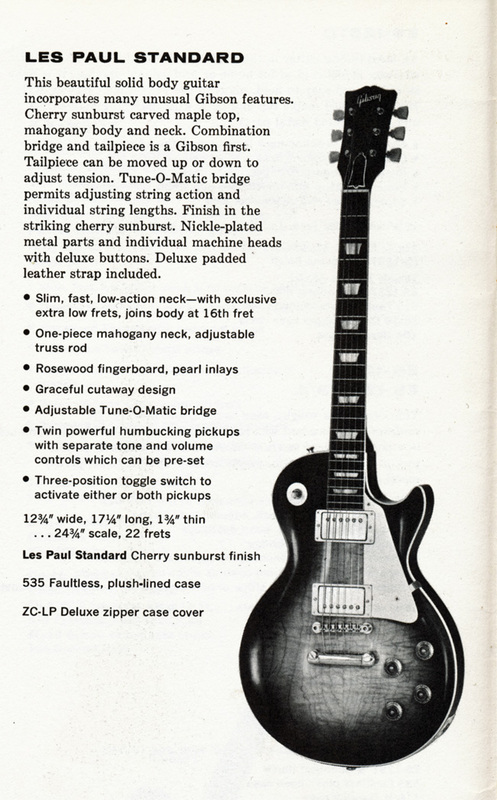 All of which means that the original Burst was an unimportant product in Gibson’s big picture. If only they knew. About the Author: Tony Bacon writes about musical instruments, musicians, and music. He is a co-founder of Backbeat UK and Jawbone Press. His books include The Ultimate Guitar Book, The Bass Book, and Paul McCartney: Bassmaster, and he edited the various editions of Beatles Gear. His latest book is Electric Guitars: Design And Invention (Backbeat). Tony lives in Bristol, England. More info at tonybacon.co.uk.